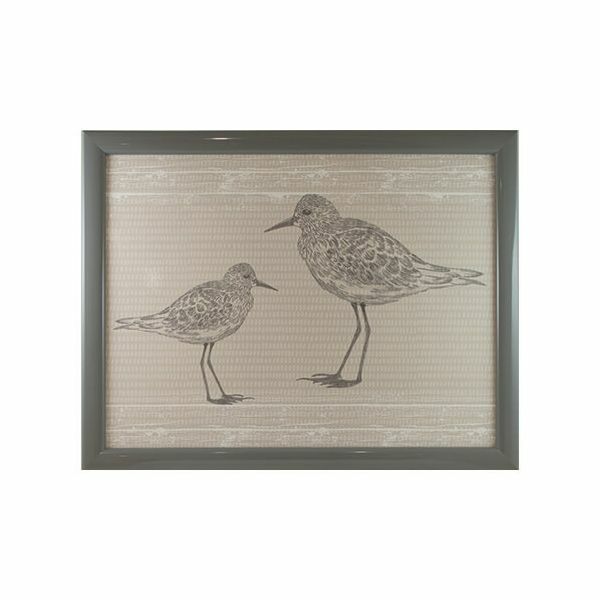 The Sandpiper Lap Tray design features a pair of sandpipers in a delicate grey on the cream top. The Lap Tray is ideal for serving an individual dinner on or afternoon tea and biscuits. The Lap tray has a bean bag on the base filled with polyester beads for providing a stable surface. The lap tray can also provide a surface for crossword puzzles or a base for a laptop or tablet. Dimensions 44 x 34 x 5cm.